Born: October 25, 1805 in Wareham Ma. 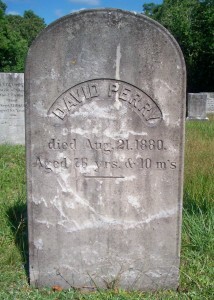 Died: August 21, 1880 in Pocasset Ma. at 76 yrs, 10 mos. 2. 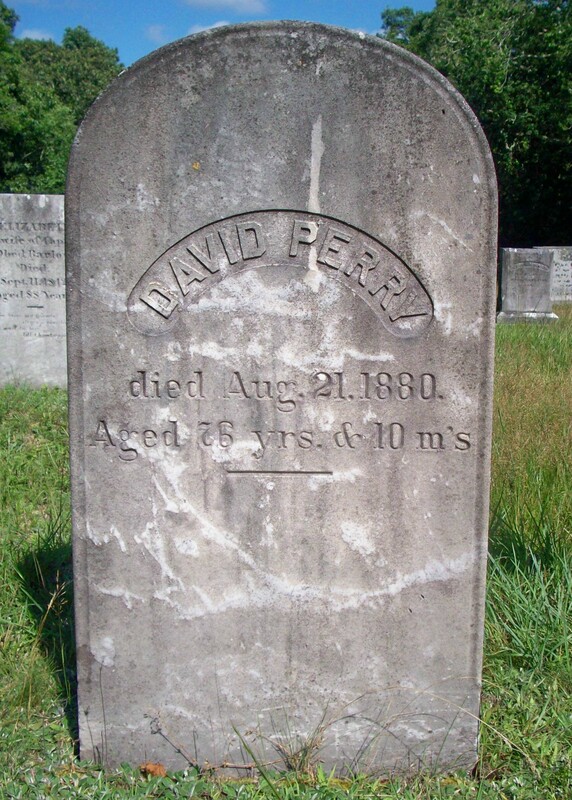 David Gibbs Perry, Jr., Civil War; (June 16, 1833 – May 10, 1890); David died in Taunton Ma. at 57 yrs. & is buried in Pocasset Cemetery with his parents & brother, Hiram Perry. 4. Mercy D. Perry Hall; (1838 – June 11, 1856); Married Joseph Hall (Abt.1831 – ?) (Joseph Hall & Achsah (–)) in Sandwich Ma. on June 11, 1856; (pos. married to Cobb? & Walley?). 6. Hiram Perry; (November 11, 1840 – October 7, 1857); Hiram was a mariner & died at 16 yrs, 11 mos. 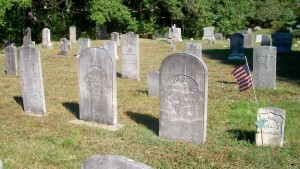 ; He is buried next to his parents & brother, David Gibbs Perry, Jr., Civil War, in Pocasset Cemetery. 8. Edwin H. Perry; (July 25, 1846 – October 6, 1913); Married Caroline Augusta Rosella Ellis (1852 – 1934) (David S. Ellis & Esther Whiting) in Sandwich Ma. on January 3, 1871; He was a moulder & died at 67 yrs, 2 mos, 3 d.; Edwin & Caroline are buried in South Monument Cemetery in Monument Beach Ma..